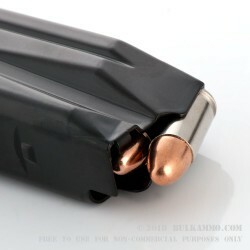 A great looking, highly functional round for your 9mm range shooting needs that offers a slick nickel plated brass cartridge casing that alleviates friction concerns in feeding and extraction cycles in your mainstream 9mm firearms. 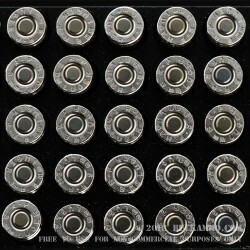 This high-end range ammunition still offers a very nice price point for new manufacture target ammo. 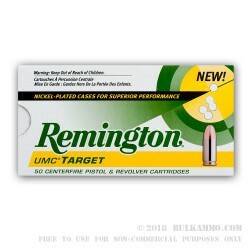 The 1000 round case lot bulk purchase of this ammunition is at an impressively low price, especially given the history of performance that Remington has with the UMC line. Before any of the readers of this here were born, UMC merged into the Remington company and began offering low cost, high quality, super reliable ammunition for consumers and at the time, government contracts. That road has been a smooth ride for Remington, having provided excellent ammunition over the years and built a rock solid reputation and legitimate credibility in the low cost side of the ammunition market. It‘s not just about nostalgia though: this is premium 9mm ammunition for shooting in bulk with the 115 grain, slightly lower recoiling projectile and the nickel plated brass case that offers reloaders a premium option for their handloads. 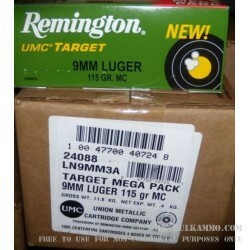 This is a case lot of 1000 rounds and is packaged in 4 large boxes of 250 rounds per box. 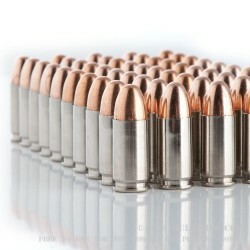 Practice Ammo? Good enough for competition. Delivery, as always, was timely. I purchased the ammo as "practice" ammo for the S&W Model 952 (Performance Center Custom Shop) - my 50 yard groups are good enough for use in competition. It's not just the gun...the ammo was an outstanding performer in my S&W M&P 9mm - surprising accuracy. 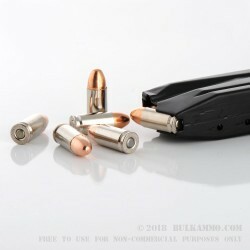 I shop around for the best ammo prices usually purchasing a minimum of 500 rounds, and have discovered that your prices have yet to be beat for quality ammo.